This website is taking a short break. 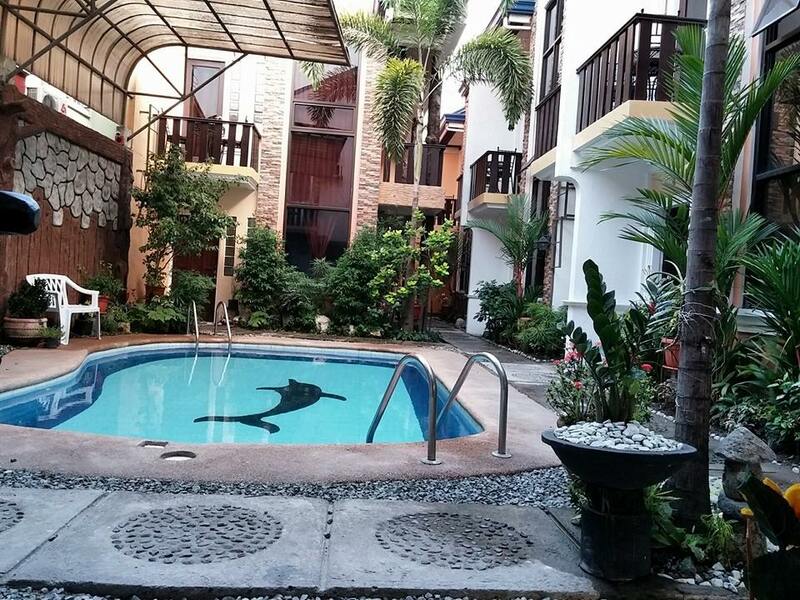 Here's some of our highly recommended accommodation in Angeles City. Don't hesitate; go over to the official website and Book now! Bourbon Stree Condotel is an exceptional place where the best apartments where guests can purchase their own unit and personalize them to their liking or for visitors looking for comfort during their visit. We also offer long term leasing, weekly and monthly accommodations for considerably low costs. We have 6 different types of rooms like the Studio, Deluxe Studio units, one and two bedroom units. Located right in the center of the tourist vicinity making it a convenient location in close proximity to the Avenue where the bars and nightlife are situated. Being the central hub for nightlife, Bourbon Street Condotel still maintains its security, privacy for its tenants, and inaudibility to the hustle and bustle of the busy streets. Aside from having a restaurant nearby where you can grab a bite, one of our best features is that some units have built in kitchens where visitors can have the luxury of preparing their own meal. Come and visit us! Our staff will be more that welcome to satisfy your exigency. A modern European inspired hotel located around the Philippines. Visit us and experience a superb stay while we pamper you with our great hotel amenities and let you enjoy on our comfortable rooms, great food and excellent service. We also cater to social events, meetings and conferences. Visit our function rooms for unforgettable occasions. Perimeter Hotel is a newly renovated hotel located in Don Juico, Angeles City, Pampanga. Everything here is made for the guests' convenience. Set with a budget-friendly ambiance where every room is provided with air conditioning, cable TV, hot and cold water, free hot tea or coffee and safety deposit box for your valuable items. A Jacuzzi room can be booked for those who want a bigger space and get relaxed after a long tiring day. We put our hearts in serving our guests with nice, quiet and affordable stay.2 hot bars so you won't miss the fun in the city. What are you waiting for? Grab the opportunity to be here in Perimeter Hotel! 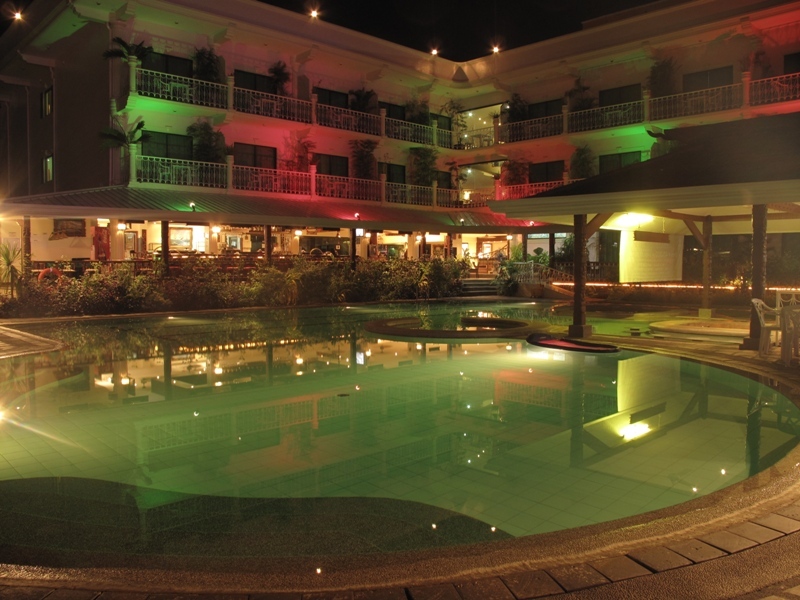 Maharajah Hotel is a perfect scene for guests who want to take time off from the busy entertainment strip of Angeles City. There are ample tourist destinations nearby such as SM City Clark and MarQuee Mall. It is also near the Diosdado Macapagal International Airport which is 25 minutes away. Enter the doors of the American traditional inspired lobby with a Filipino twist designed to accentuate the very welcoming decors of the hotel. Offering more than 100 rooms with concomitant interiors, each room is air-conditioned and comes with Wi-Fi access, cable TV, bathroom with hot and cold shower, and basic toiletries. A wide range of amenities for the guest’s convenience partnered with the magnificent service of our Hotel staff. Have a relaxing day at the swimming pool while enjoying a glass of ice cold beverage. Delight in the specialty dishes offered at our restaurant where guests dine al fresco style. For company outing, family bonding and friends get-together while in Philippines that features varieties of attractions in each region, Orlando Residences caters to all your needs perfectly situated at Letecia St. Josefa Subdivision, Malabanias Angeles, Pampanga. Units and Amenities To give you a satisfactory and convenient way to have a great night as you sleep in a Queen Sized Bed, you may choose from these types of unit we graciously provide: Standard is a fully-furnished unit with a living room, dining area and a kitchen where guests can indulge by having their home away from home with top of the line amenities that mostly being offered to other hotels in Angeles City but we opt to give you well-improved features such as: 2 private bathroom with hot and cold shower, toilet with towels, soap and shampoo, cabled TV with over 74 channels, DVD player and a mini bar. Deluxe is designed with bright yellow and white colors to keep the balanced soothing ambiance of the unit, this is best to accommodate up to 8 occupants per night with well-improved amenities same with Standard Unit. Suite is by far the largest fully air-conditioned unit type we offer at Orlando Residences wherein 1 child 12 years old and below free of charge, equipped with 3 private bathroom and toilet, a dining area that has 6-seater dining table, kitchen with free utilities. Accessibility Orlando Residences is only 5-minute drive away from Diosdado Macapagal International Airport that makes our property the leading choice for accommodation in the city and other sightseeing spots such as: Nayong Pilipino, a public museum that showcases miniature attractions of the Philippines that also depicts the country’s culture. Zoocobia Fun Zoo a perfect educational and engaging trip for a family and Duty Free Shops are also few minutes away from our property for your last-minute shopping needs. Here are the following top attractions near Orlando Residences that you will absolutely love our location, accommodation and simply for having a vacation with us. • Zapatas Authentic Mexican Restaurant is located only 11 minutes away from our property, enjoy Mexican cuisines being offered at very affordable prices. • Aling Lucing's Sisig Restaurant, 14 minutes from Orlando Residences, a budget restaurant is famous in serving the best sisig in town! • For the most advanced leisure park in Angeles, Fontana Golf and Country Club is just 17 minutes drive. Affordable reservation with us We give you the pledge of pure relaxation you deserve by offering you the lowest rate ideal for budget-conscious travelers with instant online confirmation where our 24/7 customer service will send you a temporary voucher that must be presented at the front desk upon your arrival. For a fast and secured payment processing, you may now choose from 2 methods of payment we offer either via a bank deposit or a credit card. Guests can expect to receive a full support before and right after booking has been made. Have the most relaxing and engaging stay at Orlando Residences Angeles City. 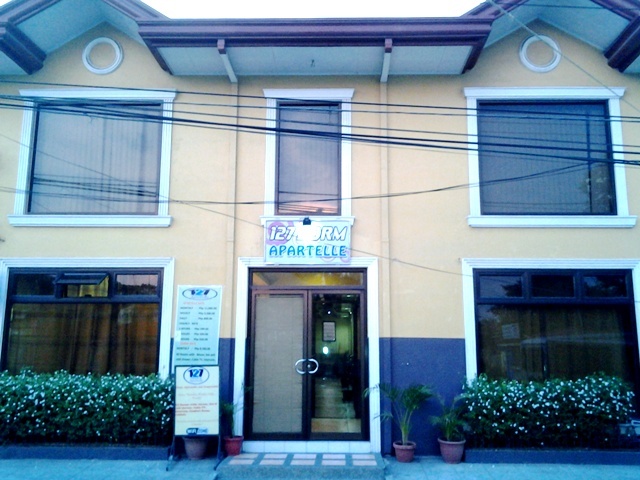 127 Dorm and Apartelle (formerly Hostel C Hotel) is a 22-room boutique hotel located in Balibago, Angeles City, Pampanga. 127 Dorm and Apartelle offers budget hotel accommodation in two room types: Dorm and Apartelle. All rooms are fully-air conditioned with cable TV and showers. Rumi Apartelle Hotel is a premium spot for quality accommodation near the entertainment district of Angeles City yet conveniently located in a good neighborhood in Sierra Madre Street corner Makiling St in Don Juico Avenue. 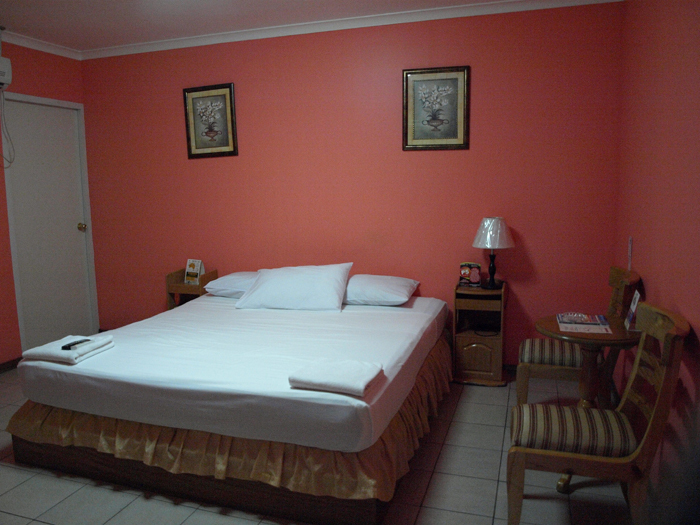 It offers 21 rooms with modern designs that focus bringing comfort and enjoyment to thrifty guests. From our Budget Room, Deluxe Room, and Superior Room with Kitchenette all of which has a private bathroom with hot and cold shower, Flatscreen cable TV, telephone, and air-conditioning. The hotel also offers inexpensive long term rates for visitors who prefer to stay longer. Our compliant Front Desk Officers are on duty 24 hours every day to serve guests from check in to check out, and go out of their way to lend support and assistance. Guests can ask the assistance of the hotel's staff to place and food orders in restaurants nearby and take it easy in the garden lounge. Rumi Apartelle Hotel is only 5 to 10 minutes away from the Diosdado Macapagal International Airport and also offers affordable transportation service. 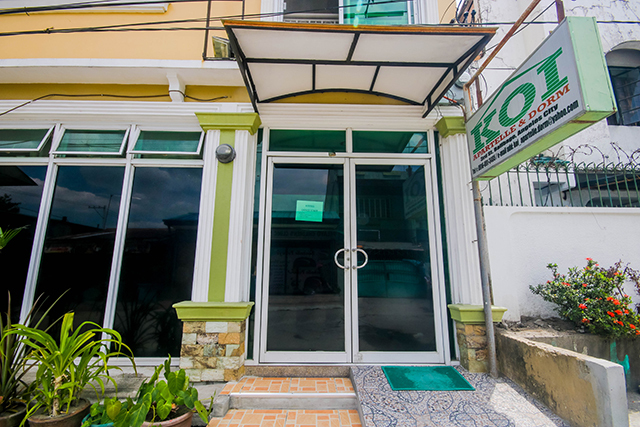 Koi Apartelle is an ideal place to stay in Balibago, Angeles City, where budget and quality services are offered. Rooms vary from Deluxe Room, Apartelle, and Twin Room. All rooms are fully equipped with air-condition, cable T.V, internet connection, and laundry area. We also offer budget accommodation for guests who are planning to have a long stay.